Earlier in the week I posted a review roundup of the Formula X System Addict Influenster Box and unboxing video on YouTube. 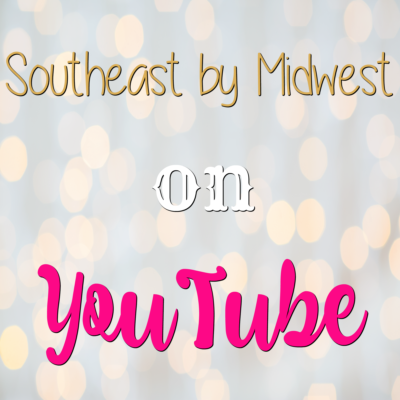 I mentioned in that video that I was going to be posting an unboxing of the Make Up For Ever Influenster later in the week…it’s now that time! As I mentioned in that post, I received these products from Influenster to review, however, all opinions of them are my own. That being said I won’t be going into much detail about these right now as this is just an unboxing! Speaking of unboxing…make sure to check out the unboxing video on YouTube as well! Before we talk about the products inside of the Make Up For Ever Influenster Box, can we just take a second and talk about the packaging. 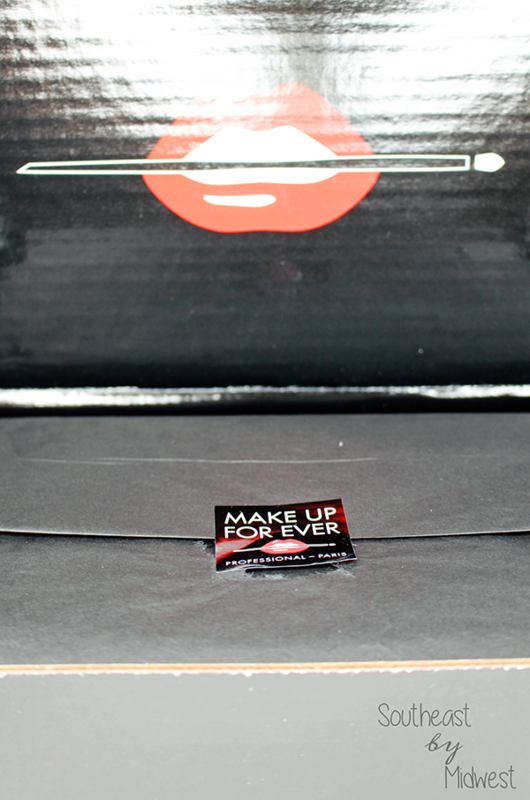 I’m absolutely in love with how Influenster and Make Up For Ever packaged this box. A lot of times I feel that the packaging on Influenster boxes gets lost in the shuffle, and I mean you are getting free products to review but still, and the Make Up For Ever Influenster Box not only didn’t get lost in the shuffle it’s set a new bar for Influenster packaging! 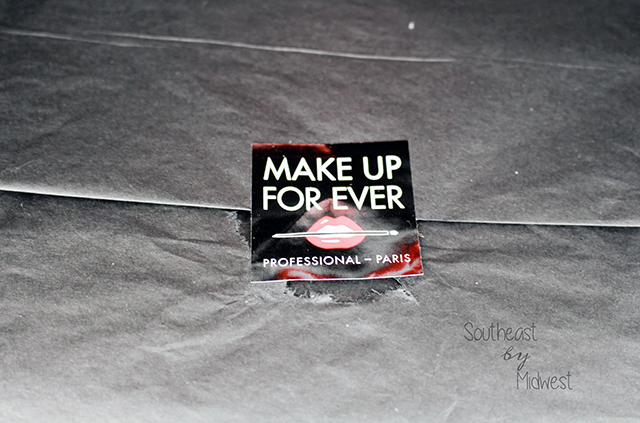 Now that we’ve gushed over the packaging let’s talk about what was inside the Make Up For Ever Influenster Box. 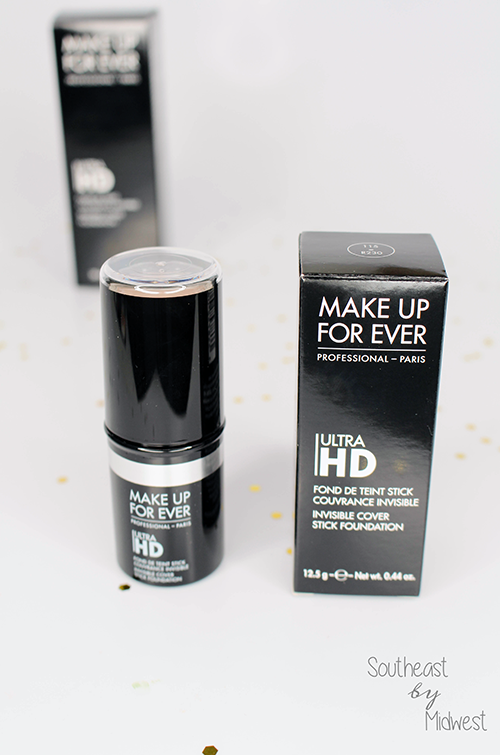 The first item in the box was the Make Up For Ever Ultra HD Stick Foundation in the shade R230. 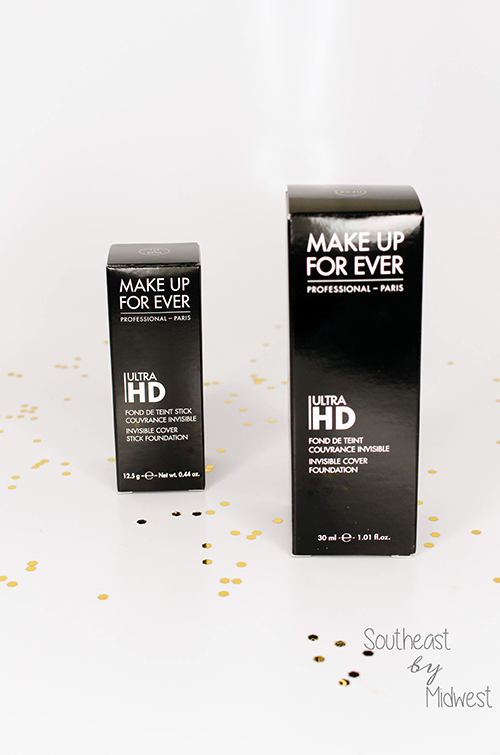 The second item in the box was a bottle of the Make Up For Ever Ultra HD Liquid Foundation, also in the shade R230. I do remember doing a survey awhile back that at the time I did not realize was going to be for this box. In the survey they asked for the stick foundation for you to chose a shade that a shade or two lighter or darker than your closest match so that you could use it to contour / highlight with. Obviously, both of these are the same shade and I actually prefer that to the other way as this allows me to try both formulas of the product in a larger way! Let’s talk about the Make Up For Ever Ultra HD Stick Foundation first, shall we? As I mentioned above, the Make Up For Ever Ultra HD Stick Foundation that I received was in the shade R230 which is Ivory. 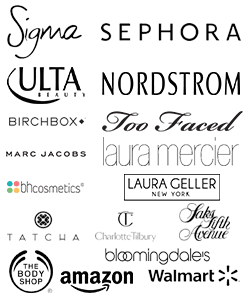 From the Sephora website there are currently only 15 shade options for the Make Up For Ever Ultra HD Stick Foundation and out of those 15 only 14 are currently in stock so I do think that this shade is the best match. Will it blend out well? Is it drying? Find out the answer to those questions, and more, next week when I review the Make Up For Ever Ultra HD Stick Foundation on the blog and YouTube! 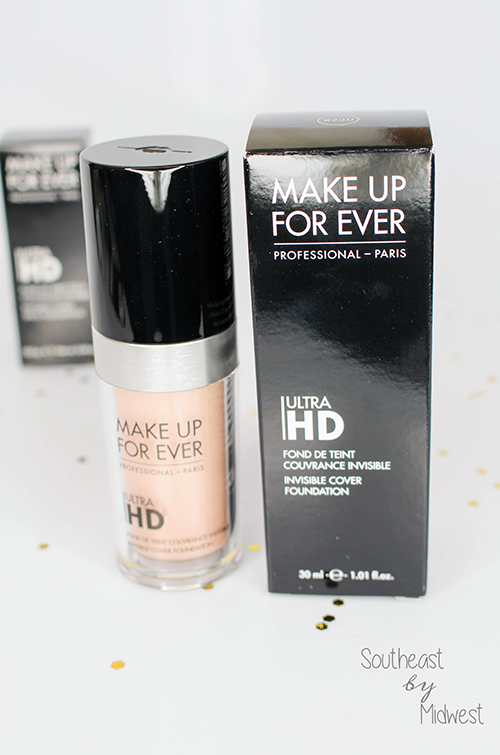 Next let’s talk about the Make Up For Ever Ultra HD Liquid Foundation as it is the only other product in the box… Again, as I mentioned above I received the Make Up For Ever Ultra HD Liquid Foundation in the shade R230 which is also Ivory in this formula as well. Now the Make Up For Ever Ultra HD Liquid Foundation actually has 40 shade options available opposed to the 15 (14 in stock) of the stick foundation. Will this be a good match? Will it provide enough coverage? Find out the answer to these questions, and more, in two weeks when I review the Make Up For Ever Ultra HD Liquid Foundation on the blog and YouTube! Tell me in the comments: What’s your favorite foundation? 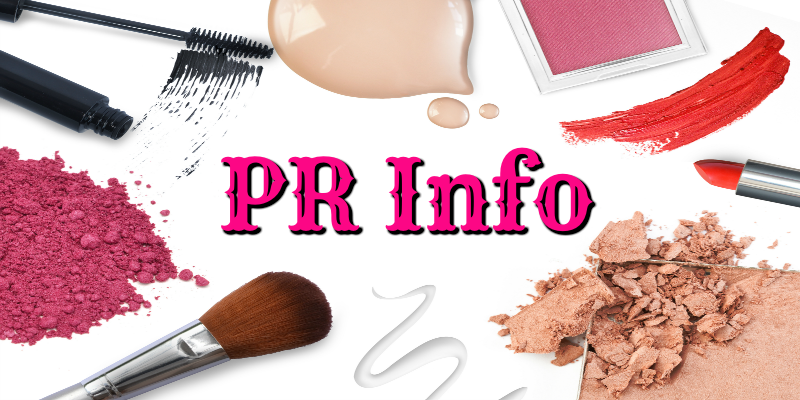 I have never used makeup forever personally, I heard that it is some really good makeup and I love see it on the TV shows. I love subscription boxes! It’s so fun to try new products, and getting a package in the mail is probably my favorite part! I haven’t worked with influenster much, but now I’m thinking I better get on it– I had no idea I could get awesome products like this!